01 I’m having trouble accessing the site. 02 Is my personal information secure? All of the information you supply is strictly confidential. It will only be used internally by Clarins for deliveries or customer service. 03 Will my credit cards details be secure? Your credit card details are SSL-encrypted and will never be stored online or accessed without your permission. 04 I forgot my password. You can request a new password from the Sign In section of the site by clicking on the forgotten password link, entering your registered email address and confirming your request. Your new password will then be emailed to you. 05 Do I have to register on the Clarins website to place an order? No. You can place an order without registering on the site by using our Guest Checkout. However, registration allows you to track orders, review your order history, collect and view your reward points and place orders without having to re-enter your details. This will save time when placing future orders. 06 How do I register My Account? Signing up is fast and easy. Simply click the register link on the Sign In page and enter the information that is required or during the checkout process, select the ‘Register’ option. 07 How can I update my profile? You can change your personal data within the My Account pages. 08 How do I place an order online? Add the products you want to buy by clicking on ‘Add to Bag’ then click on the "View my Bag" link to begin the order process. The site will guide you through the necessary steps. section. 09 What products are available on the site? All Clarins retail products can be purchased online. You may notice slight differences in gift sets and promotions that are exclusive to www.clarins.co.za or to retail stores. On occasion, items temporarily go out of stock but we do our best to keep every product available. We do not accept backorders or pre-orders for items. 10 Can I change my delivery address? Yes. Your billing address will automatically be entered as your delivery address. You can change this during the checkout process. If you have an account, you can also create, change and save multiple addresses in your address book. Unfortunately, if you have already placed an order you will be unable to change your delivery address. 11 Can I have my order delivered to an address other than my home address? The order will be delivered to the address indicated. Packages are delivered without pricing information; you will receive a receipt with details of your order by e-mail. The My Account area also offers an address book that enables you to save a different delivery address and billing address. 12 Can I ask for deliveries to be sent abroad? No, currently www.clarins.co.za only delivers to within South Africa. 13 How long will my order take to arrive? 14 How do I pay for my order? We currently accept payment via Visa, MasterCard, Maestro and American Express. Please be aware that we use 3D Secure for payments. 16 What can I do if my payment is declined? If your payment is declined, please contact your bank or credit card company. Authorisation is between our banking provider and your financial institution. If you encounter any difficulties, you may also contact Clarins Customer Services. 17 When will payment be deducted from my account? Your credit card will be charged once you complete payment section on our site. 18 How will I know when my order has been received? When you’ve placed an order, www.clarins.co.za will display a confirmation message. You will also receive a summary and receipt via email. If you've registered with us, your order will also be viewable on the site after 24 hours in the My Account area. 19 Where do I find my order number? Your order number will be in the confirmation email and in the My Account pages under Order History. 20 How do I change or cancel an order? As we normally dispatch orders within 1- 2 days, it may not be possible to cancel prior to dispatch. In this instance you would need to return your order once received in accordance with our Returns Policy. 21 How can I check the status of my delivery? Once you have confirmed your order on the site, you will receive two emails. The first confirms that your order has been received; this is also your receipt. The second email is sent as soon as your order has been dispatched, accompanied by detailed delivery information and the tracking number for your order. You can track your order by clicking on the Track order. If you are registered you can also track the status of your order in the My Account area. 22 I haven’t received my order. If you have not received your order after 7 days, please contact Clarins Customer Relations to resolve the issue. 23 What is your refund policy? We welcome the return of products purchased on Clarins.co.za within 30 days of receipt. Please follow the instructions under "How do I make a return or exchange?" below. 24 The order I received doesn’t match the one I placed. We are happy to rectify any errors. Please contact Clarins Customer Relations for assistance. 25 How do I make a return or exchange? 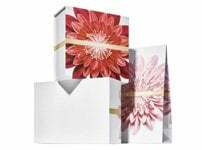 Clarins accepts returns on orders within 30 days of the date of initial dispatch. To make a return, please contact our Clarins Customer Relations for more information. For our full details, please refer to our Returns Policy. 26 How do I return a damaged product? If an item arrives damaged you can request a full refund or an exchange. Please contact our Clarins Customer Services for assistance. Tel: 011 809 6300. 27 How are refunds issued? Refunds are issued on the card used to place the initial order. You will be refunded the cost of the returned product(s) as soon as the return is received and processed. Please refer to our Returns Policy for more information. 28 Where can I purchase Clarins products? You will find the newest and most complete assortment of Clarins products at Clarins.co.za. On occasion, items temporarily go out of stock, but we do our best to keep every product available. 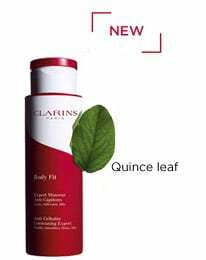 You may also find Clarins at major department stores, selected chemists and salons. To find your nearest Clarins stockist, please visit our Store Locator. 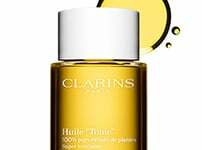 29 How do I use Clarins products? Every product on this website is accompanied by notes on the application method. Tips for applying each item can be found on its product page and on the How to Apply pages. 30 How can I find the right products for me? You can use our online Beauty Consultation to guide you through our range and create your own personalised skin care program. You’ll be asked a few questions about your skin, your concerns and your preferences - and in response you’ll have a shortlist of the products that fit your needs. Your Beauty Consultation will be stored on My Account in the My Beauty Profile section. 31 What types of ingredients are used in Clarins products? All Clarins products contain natural botanicals and other ingredients. You can learn more by reading the ingredients section for each product description on the site or by accessing the Why Clarins section. If you have not found the answer to your question, please contact us on 011 809 6300 from 9:30am – 5:00pm local time Monday - Friday (except holidays). 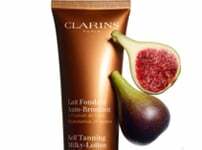 Alternatively, you may also contact Clarins Customer Relations. 33 Clarins, No.1 in Luxury Skincare brands in Europe*. *Source: The NPD Group, value sales YTD Dec 2013.